(1) We’re both too competitive. I accept that he’ll get a better time than me, but we could still have a competition about who could get the better PB. (2) My boyfriend doesn’t like early mornings and I don’t like being late. Having to be at Wembley to start at 10am could cause tension on a Sunday morning. But after our friends had tried to dampen our spirits, I found I could reply that there would be more benefits than positives. (1) Competition is a good thing. I want a PB so if my boyfriend is the motivation, so be it. (2) Wembley is in North London, it’s not like we have to travel to Wales or anywhere. We could still get up at 8am. 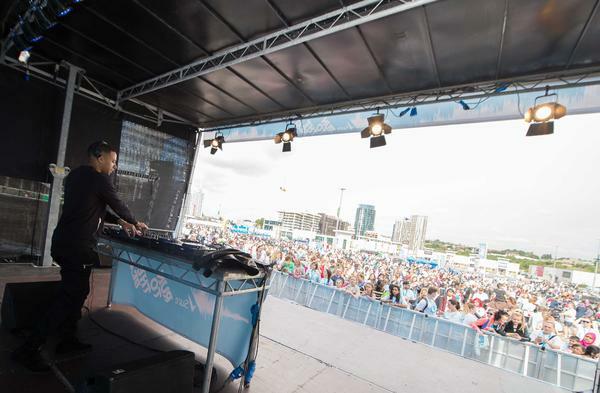 (3) We both like music and the Sure Run To The Beat is a course filled with live DJs plus there’s an after-party with famous DJs like Marvin Humes (below). (4) We can go for dinner somewhere nice in the evening, safe in the knowledge that we’ve burned some calories earlier in the day! We signed up for the event in July (keen, I know!) and for the first few weeks everything was great. Seeing my boyf. come back from a training run when I had just got back from drinks at a party spurred me on to get up early in the morning the following day. The more training I did, following the training I did from the London Triathlon, really made a difference to how I felt about my body. My legs felt leaner, my bum felt more lifted and toned and I could feel my love handles shrink. Because I was training in the morning, I drank less at night because it’s impossible to do a good run on a hangover. Running in the mornings is great, but not so great if you don’t warm up before you run. I was late getting out of bed and knew I didn’t have much time before I needed to be back and get ready for the day so I’d literally woken up, downed a glass of water, put my jogging kit on and sprinted out of my front door. It wasn’t long before I felt the agonising pain in my calf. I half expected my boyfriend to be slightly happy that he would beat me no matter what as I was out of the running, but he was very sympathetic. He said he would rather I could have run on the big day as he would have more incentive to push himself. So I accompanied him to Wembley and it was fantastic. 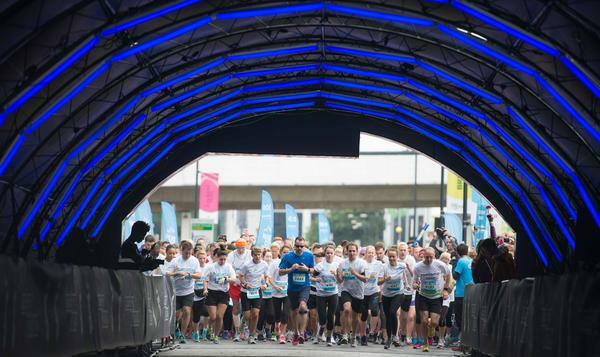 Whenever the athletes passed under a bridge, there was a different musical experience. 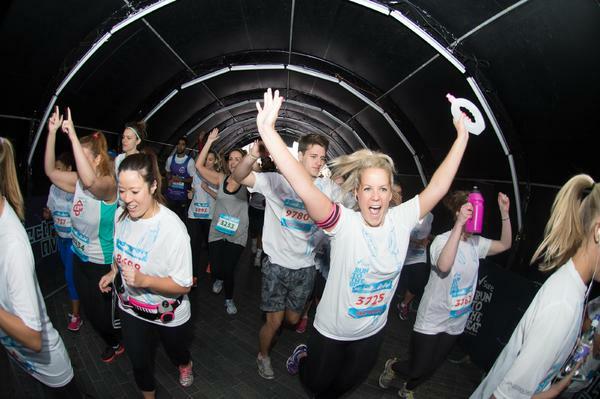 I’ve rarely seen runners look so happy! 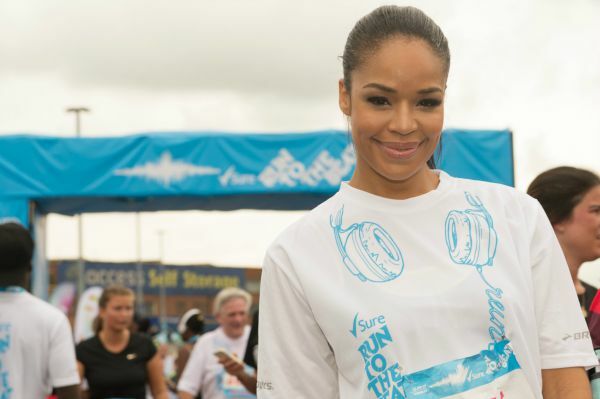 Celebs like Radio 1Xtra’s Sarah Jane Crawford and Made in Chelsea’s Fran Newman Young were taking part – both great role models of women in sport. Strong not skinny is definitely the way forward for those girlies. But the real highlight was the music. 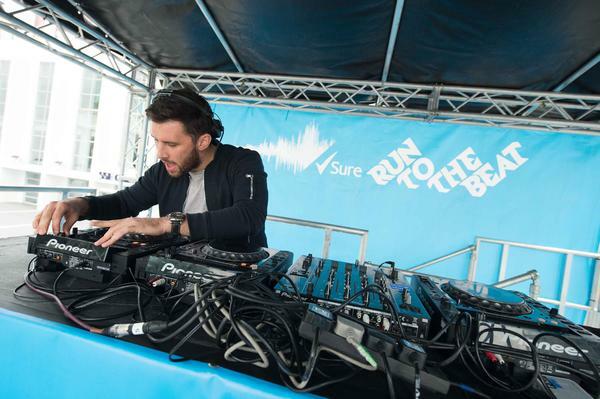 There was a festival atmosphere and I’d say it’s the first time I’ve heard Danny Howard play without an alcoholic drink in my hand. Endorphins are a more powerful high than artificial stimulants, trust me. 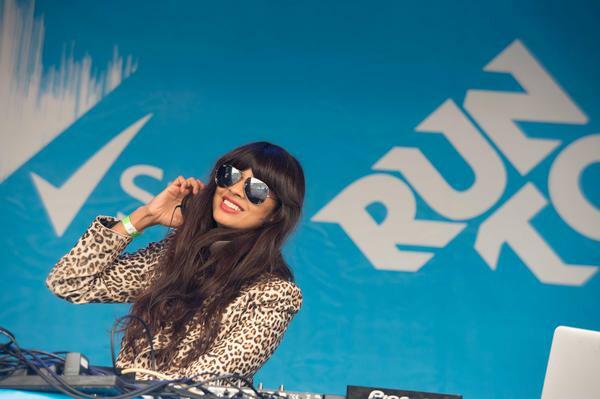 Meanwhile Jameela Jamil had all the hits so there was something to cater for all musical tastes. 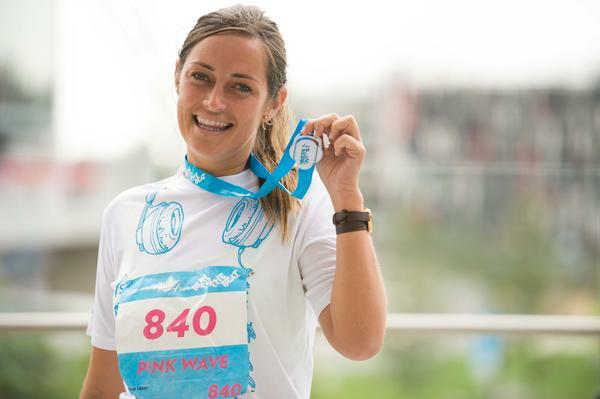 When I arrived at the event I was disappointed I couldn’t run and slightly depressed. When I left I felt uplifted and I can only imagine that must have been a feeling multiplied by 100 for the athletes if my boyfriend’s face was anything to go by. We still went out for dinner and I still had steak, as I figured I would have burned off some calories through dancing and cheering! 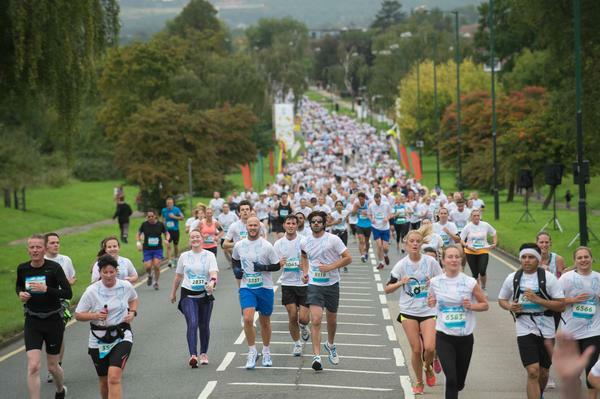 One thing’s for sure, I’m doing this race in 2016. Want to join me? We’ll need to check the Sure Run To The Beat website in Spring 2016 to keep an eye on the entry open date.